SMALLEST LIVE GPS TRACKER AVAILABLE!! Miniature Size 2.3" x 1.5" x .75"
Real Time GPS approx. 3 weeks Battery Life! 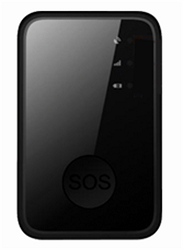 Our GSIS - MicroTracker is the smallest live GPS unit on the market. This makes it so easy to conceal on your person or in a vehicle. Our GSIS - MicroTracker REAL-TIME unit is great if you must know NOW as it happens. You will be given website access with a username and password to view live tracking 24hrs a day. Great for: Executive protection, true asset tracking, child safety, locates, tracking the elderly, and of course....vehicle tracking like....work vehicles and possible cheating significant others! All plans are offered in 3, 6, or 12 month prepay, except the emergency plan which is 1yr minimum. Dedicated customer service lines & email support are available for customers during business hours. Waterproof case with magnetic mount - CovertCase� CLICK TO SEE !